After taking Christmas Day off from golf, I concluded my holiday trip up north yesterday by stopping along the drive home for some more great golf. 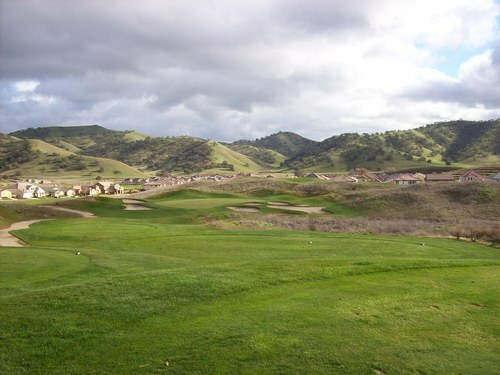 My destination was Diablo Grande Golf & Country Club outside of Patterson (a little bit south of Stockton/Tracy along the I-5). 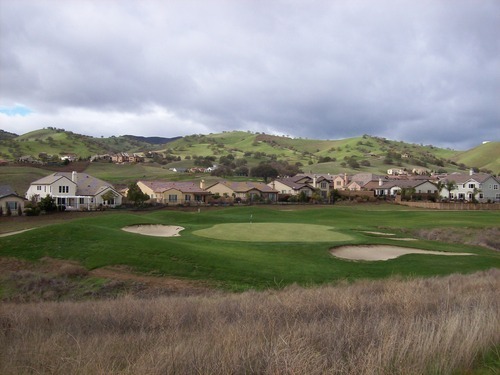 Diablo Grande is a secluded gated community several miles off the freeway. To be honest, between the name (meaning “Large Devil” in Spanish), the dark clouds overhead and the remote/private location off in the hills, the whole community would make a good setting for a Stephen King novel. Everyone was very friendly out there, but it still had a bit of a creepy vibe rolling into town as an outsider. 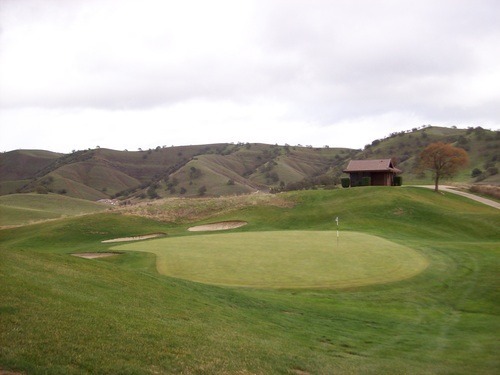 Though the facility has two courses, I had only intended to play one round here yesterday. 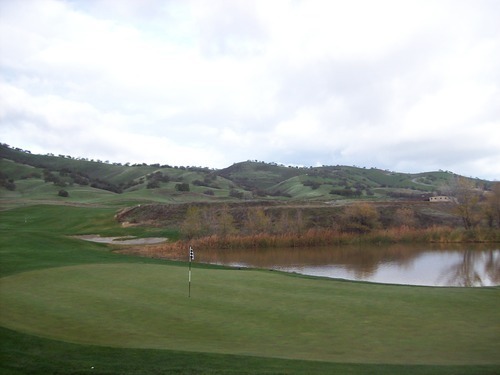 However, the sketchy weather scared everyone away enough that I was able to get a good deal and play all 36 holes. The weather was all over the place during my rounds. At times it was sunny. At other points it was raining. And at other points it was overcast and windy. Still, I was able to get in both rounds without too much trouble as there were very few people out there. 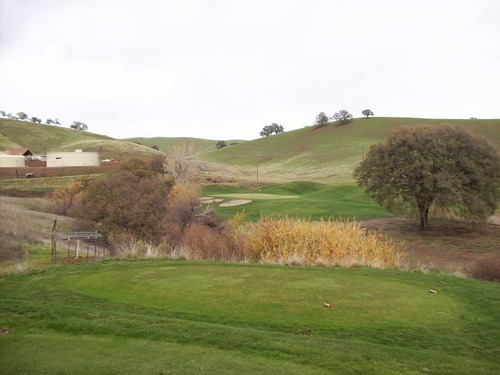 Both courses at Diablo Grande are highly acclaimed, but I was under the impression that the Ranch Course was the better of the two. 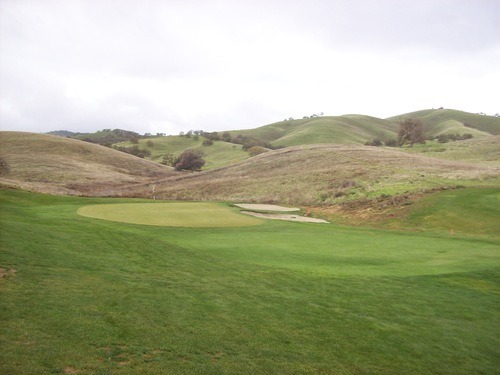 From some reviews I’ve read, though, the Legends West Course is also very popular and tends to get more play for whatever reason. I ended up loving both, but I probably preferred Ranch a little more when all was said and done. I’m glad I played both on the same day for a direct comparison. 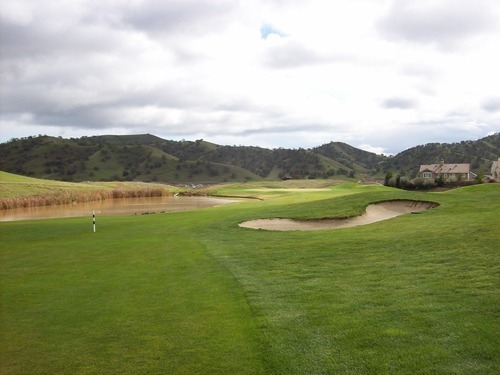 Note: Unfortunately, the Legends West Course is now closed. Ranch is still open. 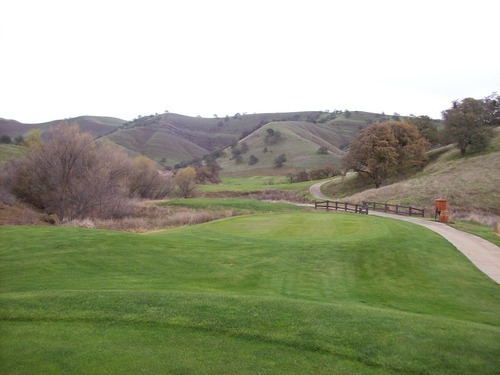 I started on the Legends West Course because they had a GolfNow “Hot Deal” time for $26 at 9:20, which was a steal of a deal (other morning times were going for $49). 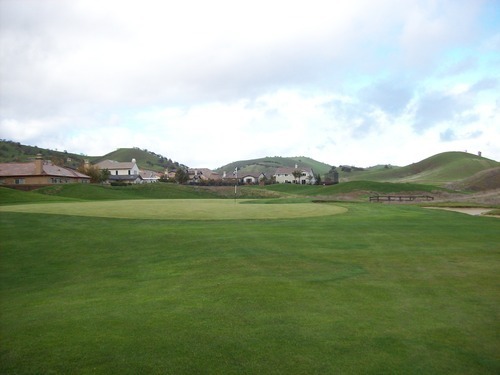 I got out there early and there was hardly anyone around, so I ended up teeing off by myself around 8:30. I ran into one group on the front nine who let me play through, but otherwise it was a quick round as a single. 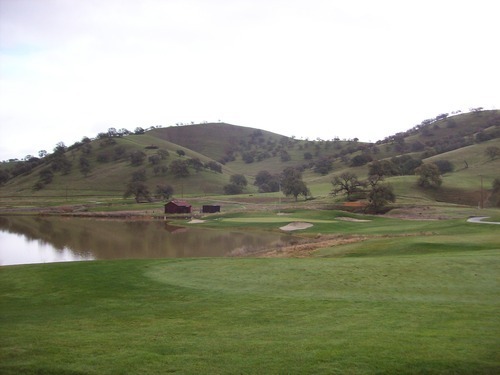 I headed out to the Ranch Course quickly after I finished the first round. Again, I played by myself. They charged me a replay rate of just $25, so it was another steal of a deal. 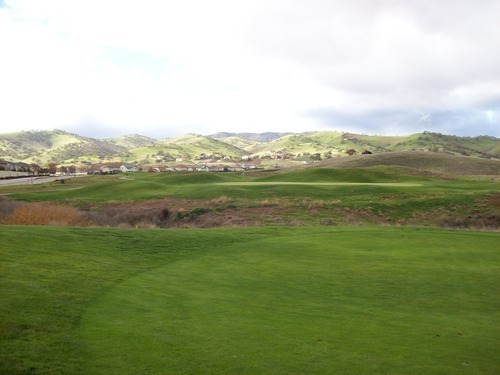 I played through a sixsome(!) on the third tee and then later passed a fivesome on the back nine, but otherwise it was smooth sailing. 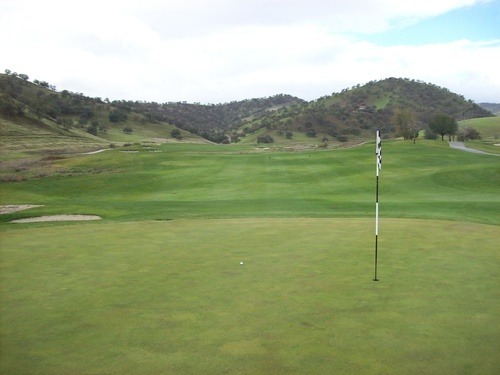 The conditions at Diablo Grande were similar to what I encountered earlier on the trip at Yocha Dehe and Sevillano Links. 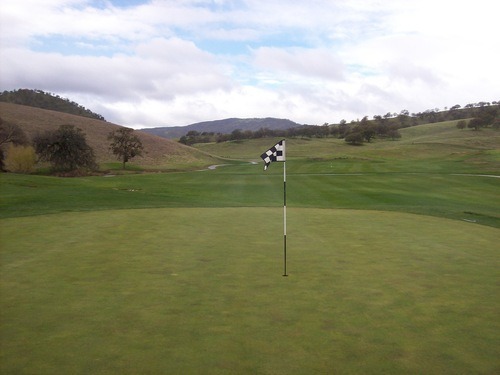 They’ve gotten a lot of rain here this winter and the courses were playing very soggy. 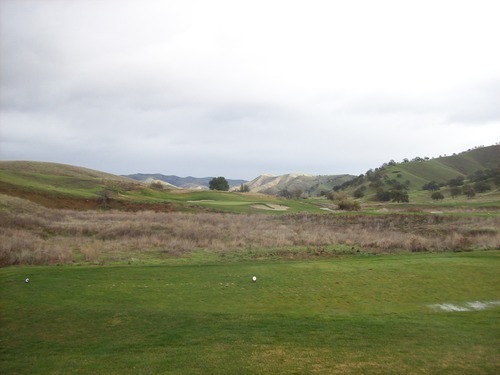 The Ranch Course was slightly less soggy. 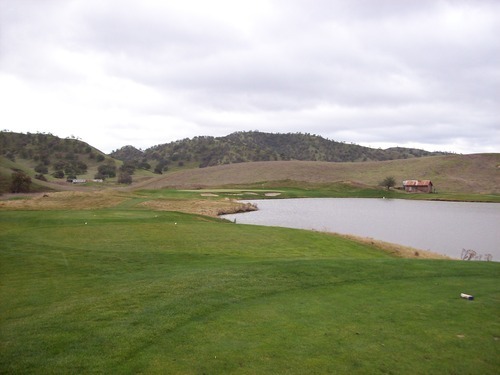 I’m not sure if that’s because of the bigger undulation on that course or just the fact it was later in the day when I played it. 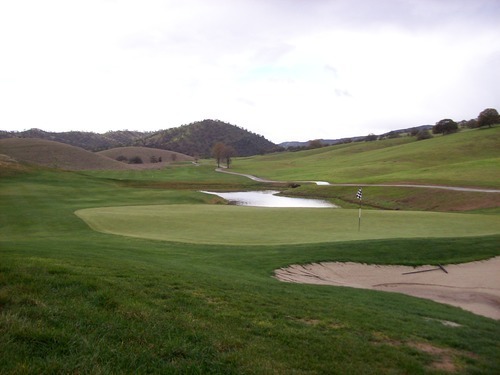 That said, both courses were in pretty nice shape for winter, but a little rougher around the edges than Sevillano or Yocha. 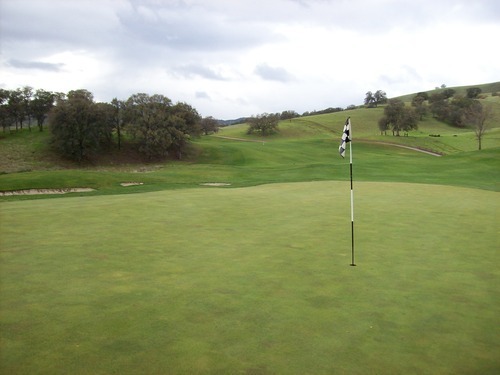 The fairways and rough were mostly lush and green. The greens were excellent, rolling at quick speeds. The wetness softened them up a bit, which was a nice break. I can tell that normally they would play very firm and fast out here. 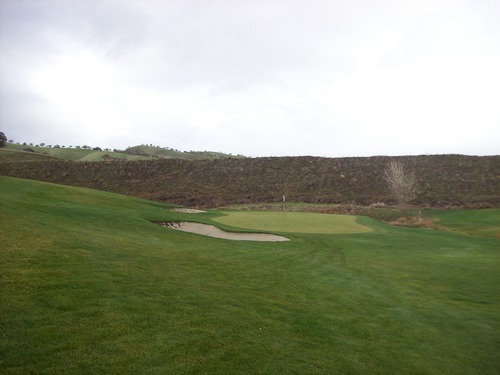 The bunkers, unfortunately, were in terrible shape with a lot of rain damage. Several had big puddles of water and many were so torn up along the edges that the tarps underneath were revealed. Most bunkers were almost unplayable. 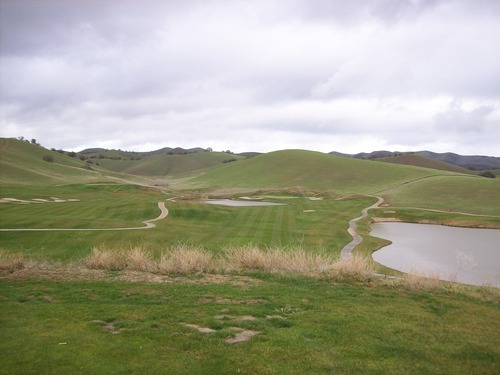 And like the other courses I played, Diablo Grande was running as cart-path-only, which meant a lot of walking on these soggy and hilly layouts. One minor complaint I would have is that these courses are very tough without any local knowledge. 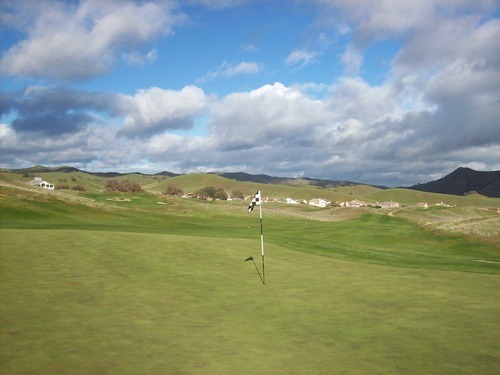 There is no GPS on the carts and the yardages are sparingly marked. 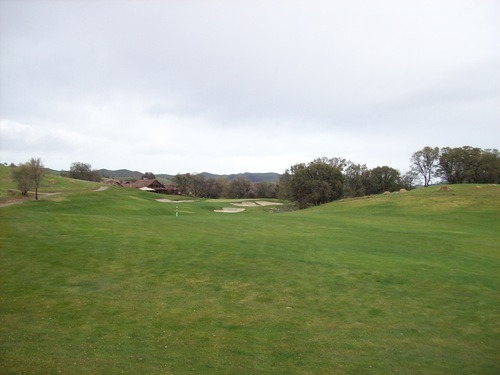 It didn’t help that it was cart-path-only and the 100/150/200 plates on the fairways were hard to see and find. Every hole does have an aiming post in the fairway (either at 150 or 100 yards), so I was basing most of my measurements off of those. 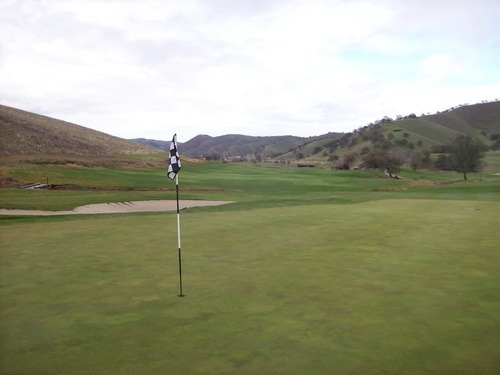 I was also using my Voice Caddie on the Ranch course, but it didn’t work on the Legends West course. It didn’t seem to recognize that one in its system. I really liked both of these courses a lot. 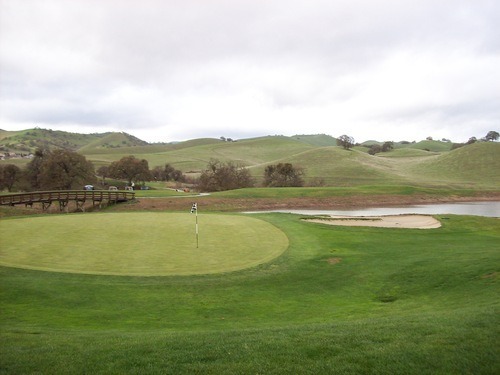 And though they both feature the same beautiful rolling hills scenery, conditioning, oak trees and hilly terrain, both courses play very differently than one another. 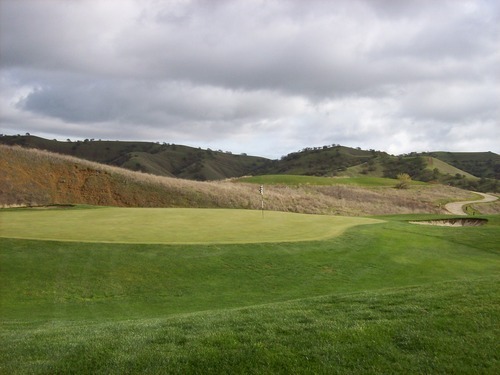 Legends West was designed by golf legend Jack Nicklaus and his team. It’s the flatter of the two, but there are some good changes in elevation throughout the course. Overall, it plays a little more wide open and forgiving off the tees. 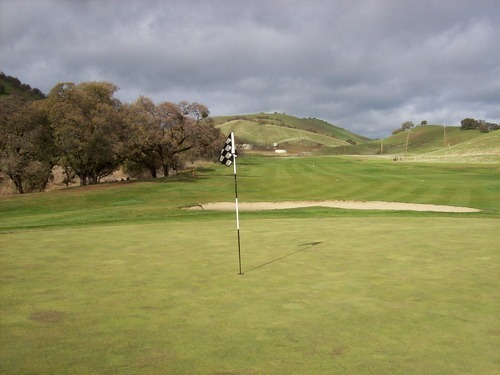 However, as you get closer to the greens it offers a lot more challenge. 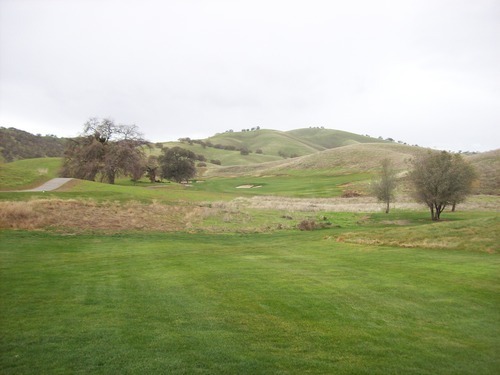 Many of the holes feature creeks or hazard areas cutting across the fairways just in front of the greens, which makes for some uncomfortable approach shots and some lay-up decisions for short hitters like myself. 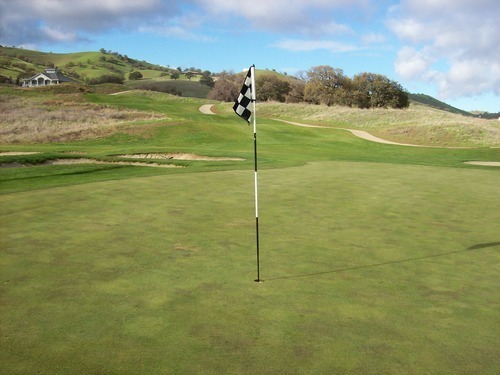 And, as you might expect at any Nicklaus course, the greens are tricky and fast. 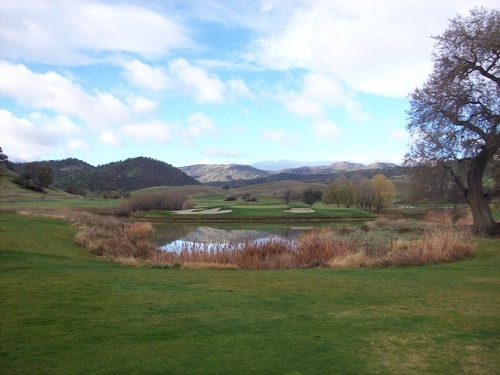 The Ranch Course was designed by another golf legend, Gene Sarazen, and his team. 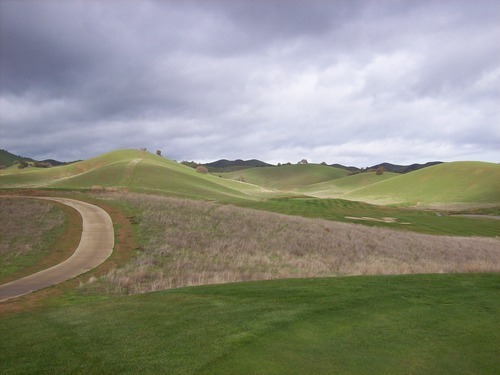 It is a much tighter layout with bigger doglegs and more severe undulation on and around the fairways. 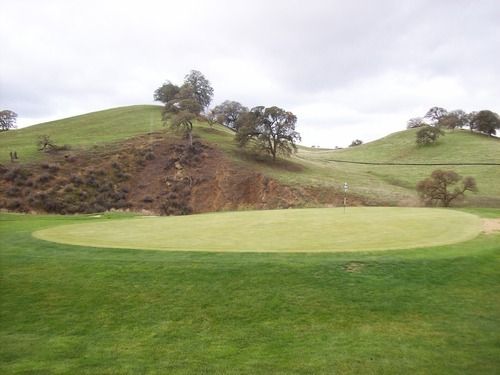 In contrast to Legends West, the greens are a bit more accessible on this course. 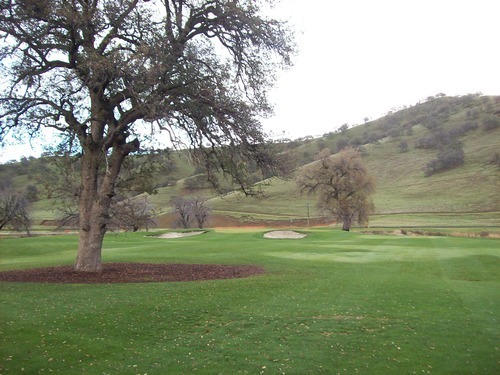 Ranch features more trees in play, more hazard/OB areas and more risk/reward options. 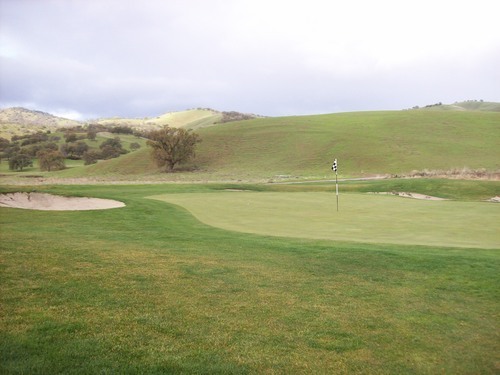 It also has more of the deep fescue surrounding the holes, which when combined with the undulation of the course, offers a bit of a links feel. For whatever reason, when I was playing Ranch, I was having flashbacks of my time in Colorado earlier this year. 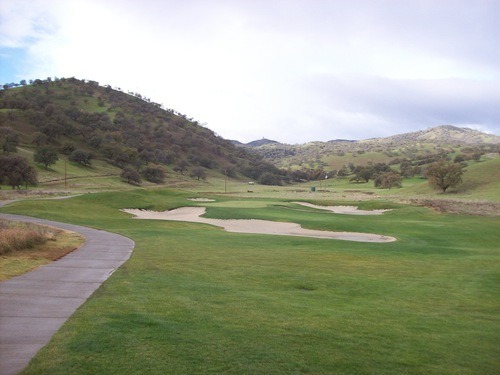 The Ranch Course reminded me a lot of Lakota Canyon Ranch’s back nine. 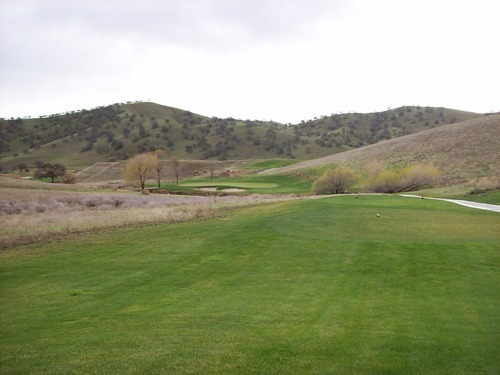 Even though the surroundings and terrain are completely different between Northern California and Western Colorado, the two courses felt eerily similar to me. I found that interesting. The other difference between Legends West and Ranch is the houses. 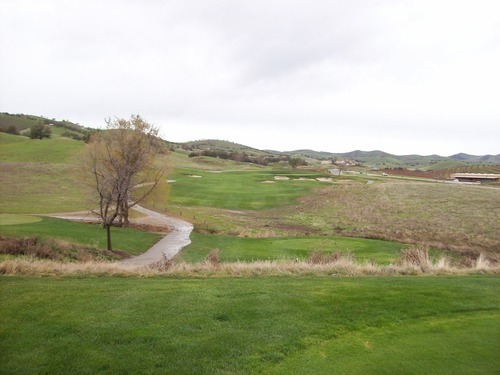 Legends West is very secluded with very few houses around the course. There are some old ranch buildings and windmills for a rustic feel. 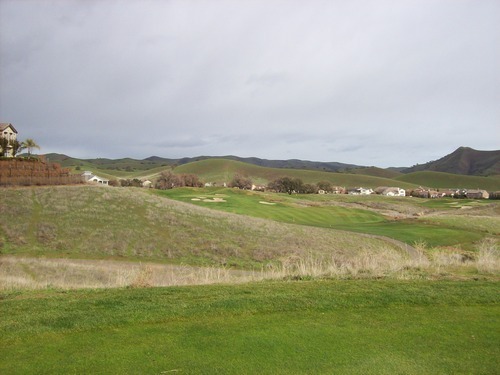 The Ranch Course has more houses around it, but it’s not too bothersome. 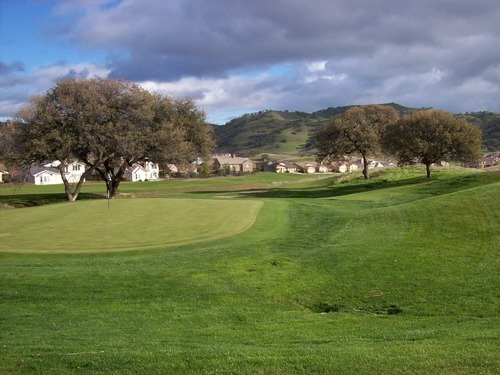 Most of the properties are very nice in this community and they don’t really come into play too much. 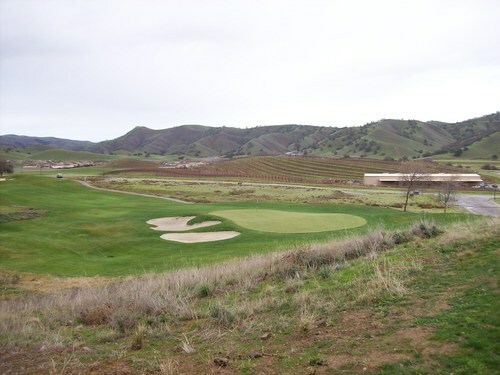 Both Diablo Grande courses are excellent and I would recommend either in a heartbeat if you are driving through the area. I personally preferred Ranch a little more, but I like tighter and hillier designs, so it suits my eye better. Both are challenging and both are equally beautiful. 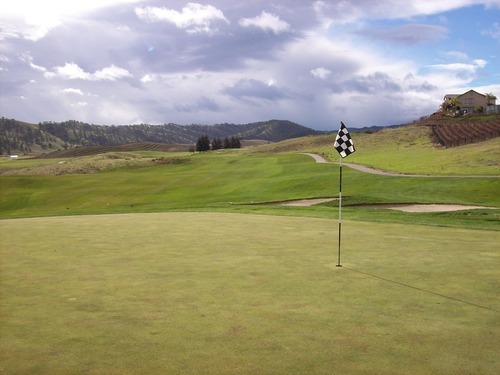 I look forward to coming back again someday and playing these courses in peak season conditions.